Choose your style - simple and debonaire, or striped and classic. 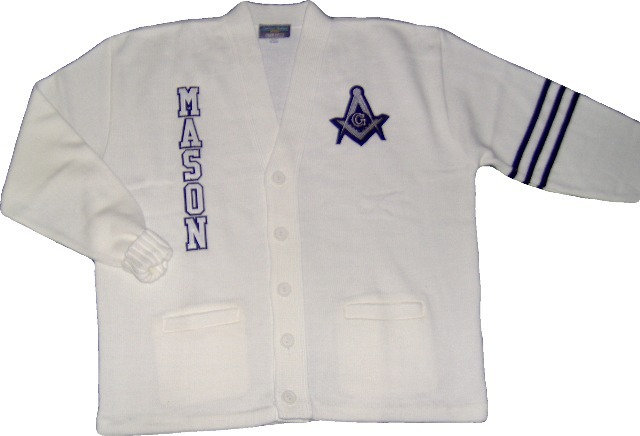 Either way, these smart cardigans add a classy touch to your everyday gear and help you to be noticed among any group. Striped Cardigans are white and feature one-color stripes on the left sleeve. 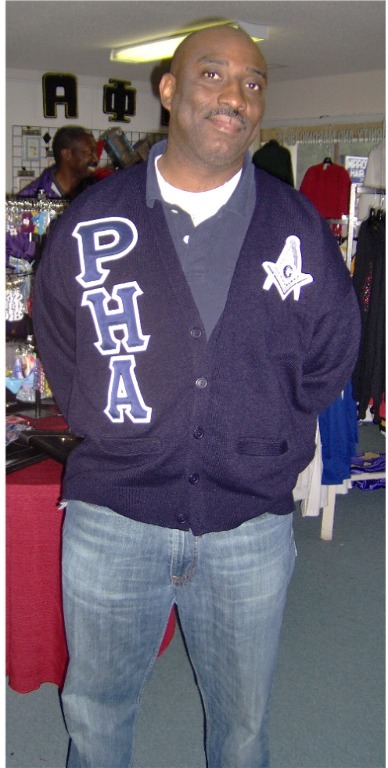 * Shown - Striped Cardigan - Navy, letters - white, letter BACKGROUNDS - Navy, Layout - MASON Block. Keep these differences in mind - the striped cardigan features cuffed sleeves and straight design. The solid cardigan offers tapered sleeves and bottom.